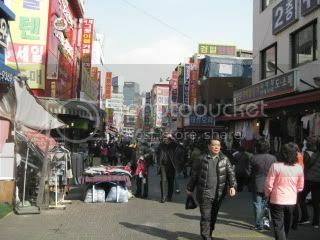 Our last day of Seoul in this trip was another beautiful sunny day. 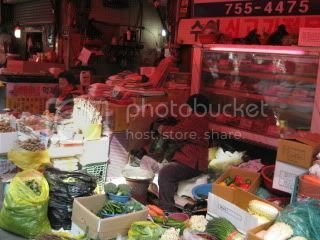 We browsed Namdaemun Market. 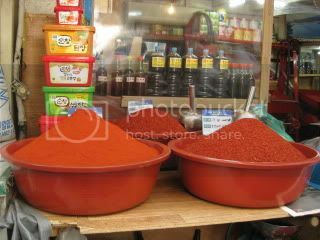 Visiting different markets in Seoul is so much fun. 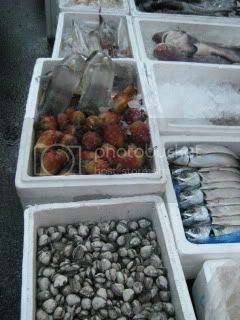 The market was so lively with countless number of vendors, including grocery, restaurants, food stands, clothes, leather, pots and pans, etc. etc. Food from street vendors looked so yummy. 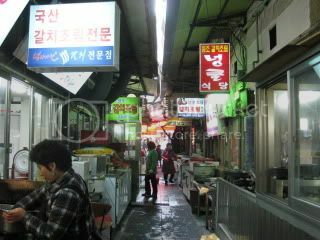 From there, we walked to Myeong-dong for lunch. 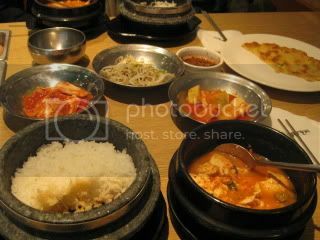 Our destination was Myeongdong Tofu Restaurant. 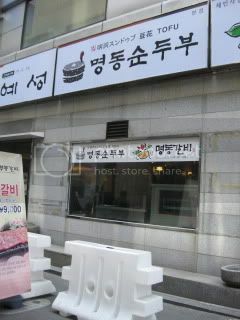 They specialize in sundubu jjigae (tofu soup) dishes. We got lucky again by getting there early. By noon, the restaurant was completely packed and there were many people waiting outside for tables. The lunch crowd was more than 90% local guys seemingly taking a lunch break from work. 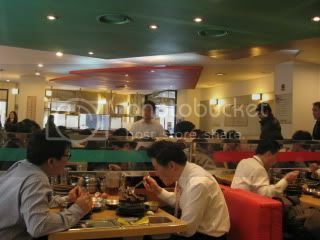 It’s nice that Korean businessmen have healthy food for lunch. 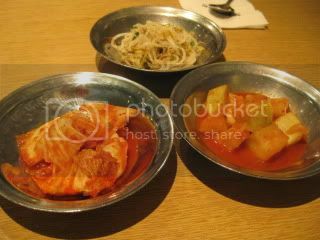 Their banchan (small appetizers) were simple trio. Fresh eggs were standing by at the table. 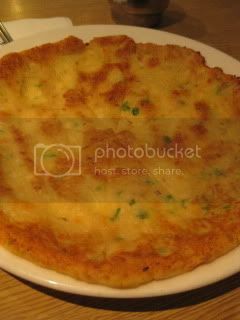 This is their tofu pulp (we call it “okara” in Japanese) pancake. I’ve never had it before! This restaurant makes fresh tofu every morning, so they have fresh okara (leftover after straining soymilk for tofu) every morning, too. The pancake was fluffy and had the nice flavor. I really enjoyed it, so I want to recreate it at home when I return to LA. I ordered seafood sundubu, and my mom had mushroom sondubu. 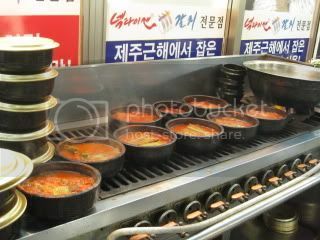 Each sundubu came with individually made rice in a stone pot. 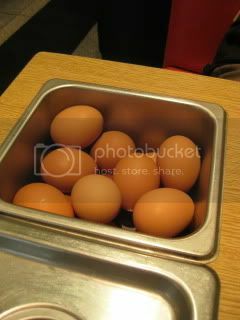 As soon as our soups arrived, we cracked open eggs to submerge in the soup. My seafood sundubu had shrimp, clams, and oysters. 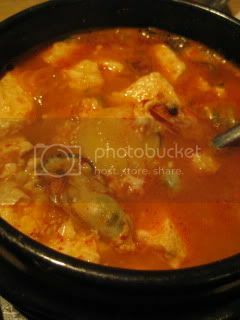 The broth was very naturally flavored and almost delicate. Tofu (again, made in the morning) was really fresh. It was great. We were also served a pot of warm brown tea (barley?). 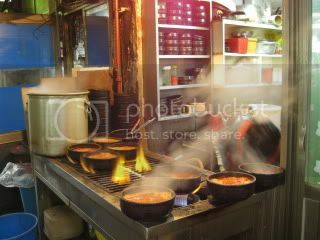 Local people serve rice out of a stone pot into a small bowl, then pour warm brown tea into the still hot stone pot. The remaining rice in the pot becomes like soupy rice. I personally prefer eating rice just with sundubu and drink tea separately, so I didn’t follow the custom this time. 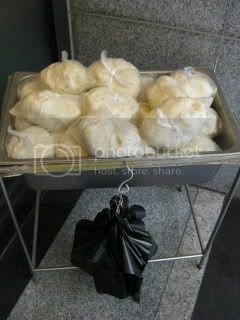 On our way out, I found bags of okara piled up at the door. They were free to take away! How nice. Since they make so much tofu every morning, they must have so much leftover fresh okara, too. I wish I could take home a bag if I wasn’t travelling.